A great Facebook page to follow is this tribute one to Dennis, here! It's run by close friend to Dennis, Ed Roach, and he uploads rare archive photos from his own personal collection and new information of stories he shared with Dennis before his death in '83. It's awesome! One of Dennis' last shows I believe? Today a person of this name said more than just a begrudging "Good day" to me. It's been years since she did that--and it's only the second time! Mr. K wrote: Today a person of this name said more than just a begrudging "Good day" to me. Did this occur on the Pet Sounds forum? Sorry, Rich, I should have been more explicit. It was in my street! In the Battle of the Songs topic at PSF, the current pair in competition are Dennis's "Make It Good" and "Cuddle Up". I mean, how the **** is one supposed to choose between those two heart-breaking gems? I was just reading his thread. HeyJude on Smiley raises some good points in reply to NR. Cool Cool Water wrote: I was just reading his thread. HeyJude on Smiley raises some good points in reply to NR. Yes, he does. HJ certainly knows his stuff. Quite sad to see his last photos shown to this song of his. However, his legacy will live on forever! Dennis' songs really had feel to them. Genius! Why Dennis Wilson is a legend. He was so honored to be in the Beach boys. God bless! Right now they're voting on Dennis's solo stuff at PSF. Today's song of choice was "School Girl". I gave this gorgeous song five points. They've been voting on this one at PSF. I had to be reminded of "Cocktails", as I hadn't heard it in a while. What a gorgeous track! 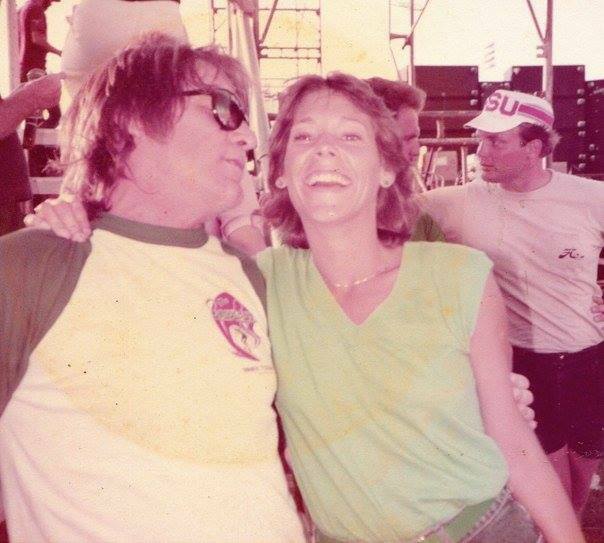 Dennis Wilson in the summer of '83, with a fan.